H. Earle Vaughan was born on 3 February 1912. He began his long Bell System career in 1928 as an assistant in Bell Laboratories. He was promoted to the position of Technical Assistant and while working in this capacity, he attended Cooper Union College in New York City, receiving his Bachelor of Science Degree in 1933. Vaughan was responsible for the planning and development of Bell Laboratories No. 4 Electronic Switching System (ESS) for long-distance telephone traffic, one of the largest and most complex undertakings in the history of the company. As Director of the No. 4 ESS Switching System Laboratory, Vaughan coordinated efforts leading to the January 1976 cutover in Chicago of the first No. 4 ESS - able to connect up to 550,000 telephone calls an hour. Prior to 1940 and through the War years, Vaughan worked on a variety of transmission and signaling projects, including some related to defense. In 1945, he undertook research work on an experimental Electronically Controlled Automatic Switching System called "ECASS," a high-speed system using cold cathode gas tubes, reed switches and a special telephone set. This project was followed a few years later by work on another experimental switching system - Drum Information Assembler and Dispatcher - "DIAD" This magnetic drum-controlled system, which used vacuum tubes and semiconductor diodes, explored for the first time the use of memory and scanning techniques in switching. In 1952, Vaughan became a supervisor in the Switching Research Department, where he conducted studies on the uses of transistor, ferroelectric, and magnetic core memories for use in logic systems. In 1955, he was appointed Head of the Switching Research Department. His previous work on ECASS, DIAD, and other experimental switching systems paved the way for significant work on an Experimental Solid State Exchange (ESSEX), which began in 1955. This system, using solid-state devices, was based on a concept of integrated time-division switching and transmission. It employed pulse-code modulation to convert analog signals into digital signals in remote line concentrators, and also used a central time-division switch. 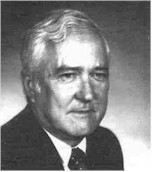 Vaughan was appointed Director of the Systems Research Center in 1958, and he assumed responsibility for four departments involved in digital circuitry research. In 1962, Vaughan transferred to the Switching Systems Development Area to serve as Director, Electronic Switching System Center. In this position, he was responsible for system and software design for No. I ESS, the first major commercial electronic switching system, introduced into service in 1965. In 1968, Vaughan assumed overall responsibility for planning and developing No. 4 ESS. He retired in March, 1976, completing a telecommunications career of more than four decades, more than half devoted to the conception and development of advanced telephone switching technology and systems. Vaughan was a Fellow of the Institute of Electrical and Electronics Engineers, and served on several Institute Committees. In 1944, he received the Naval Ordinance Award for his computer work. Vaughan held 27 patents and published 13 articles related to several areas of electronics and telecommunications technology, including electronic circuits, signaling systems, and call-switching systems. He was awarded the IEEE Medal of Honor in 1977, "For his vision, technical contributions and leadership in the development of the first high-capacity pulse-code-modulation time-division telephone switching system." Vaughan and his wife, Emily, had two daughters. Vaughan died on 9 March 1978. This page was last edited on 14 August 2017, at 14:59.